We have over 30 years experience of designing, fabricating and installing Shopfronts and entrance screens, including commercial doors, toughened glass, grilles and security shutters. Whether your business needs an attractive Shopfront, or a fitting that will make your business more secure, or you merely require the supply of good quality materials; we can provide these services, quickly and efficiently. We are versatile in all types of projects, from small independent businesses/shops, to large corporations, to other buildings, such as schools, shopping centres, hospitals, offices, car showrooms, banks etc. Customer satisfaction is our priority as 90% of our custom is through referrals. We deliver quality material and service. We offer/use the highest quality materials such as Aluminium, Timber Toughened Glass, Stainless Steele, and all of our doors can be either electrically or manually operated. We pride ourselves on our quality and affordability, as well as our efficiency in completing a project to a high standard of customer satisfaction. We customise as per your requirements. Frames, Doors, Shutters, grilles and glass, can be manufactured to customer specification. All Shopfront/Shutter components (security locks, door closers , glass, electric motors or any other parts) are always readily available. We comply with the laws and regulations. With expert knowledge of building regulations, such as the disability discrimination act, we plan every job with precision and with every retail consideration in mind. As we have our own in-house fitting and manufacturing teams, (who have an average of 30 years experience along with a true understanding of what the customer wants) we are able to work within strict deadlines and are also able to offer these services nationwide. If you are looking for our most popular Aluminium Shopfronts, we can beat any price. With unparalleled quality and care, we promise to deliver you the best shopfronts your shop requires. 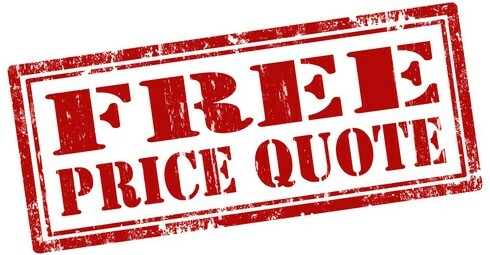 Contact us for free requirement assessment and quotation today. It was great working with Speedway Shopfitters. From the start of our communication to installation these guys esp the Director was excellent. They did a great job and I will always recommend them to anyone who wants a shop front fitted.